Do You Really Know How to Make Consumers Engage with Content? 1. Perk Up Your Content: While it’s important for content to be compelling and creative, it takes more to receive and maintain attention. Adding unexpected perks to content increases its emotional impact and makes customers feel appreciated. Some powerful perks include special deals on services, invitations to exclusive brand events, and previews of upcoming products. 2. Simplify Sharing: Making it fast and easy for people to share your content can greatly increase engagement and reach. Start by adding share buttons to your website. Believe or not, many companies have failed to feature share buttons and it’s costing them major opportunities. The location of these share buttons can have an impact on their usefulness. Place the buttons in a prominent location so visitors see them immediately and use them frequently. 3. Give Equal Emphasis to Images and Text: Including an image in content makes it more likely to be noticed and read. Research has shown that online posts with color images increase consumer engagement by 80%. Images simply enhance outstanding writing and make it more likely to resonate with readers. That’s why it’s essential to balance images with text in content. 4. Solicit Shares: After successful customer transactions, go ahead and ask them to leave feedback or share their personal experience. It may seem awkward at first, but most customers like to share their comments and know their opinions matter. An easy way to ask is by sending a follow-up email with a clear and friendly request to share. Make sharing quick and easy by featuring bold share buttons beneath the request in the email. Also, encourage regular sharing by having an active presence on review sites and consistently engaging with respondents. This will show that the business really cares about its customers’ satisfaction and strives to provide an outstanding customer experience. 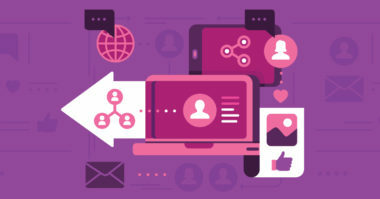 Uncover the top content marketing tactics for effective engagement. Contact MDG Advertising.